The custody process for alternative assets begins with submitting the asset for pre-custody review. Once we determine that we can custody the asset, you can open and fund your Millennium Trust custody account and begin investing. For full details, begin exploring the custody process below. Whether you already know which type of asset you are going to invest or just exploring your options, the information below provides all the details on the custody process for each asset class. In order for Millennium Trust to custody an Alternative Investment, we must first perform a Pre-Custody Process to determine that the investment is administratively feasible for Millennium Trust and to ensure proper custody. Millennium does not evaluate or perform due diligence on any investment or investment sponsor for third parties. All new accounts must go through a 7-day revocation period before an investment can be made. If you have an existing account with Millennium Trust and you want to custody the asset in the same account, proceed to step 3. You can open an account by completing our online account application. Contact us if a paper version is needed. For transfers-in-kind, you must submit a copy of your most recent statement from the current custodian reflecting the asset. For rollovers-in-kind, you must submit Millennium's 60-Day Asset Rollover Request along with stated required documentation. In order for Millennium Trust to process a transaction for an account, specific documentation is required. You can save valuable time and resources by using the new online Private Placement (PP) Purchase Direction. This secure portal provides a centralized location for you to complete the form and upload the required documentation to process this investment. The online Private Placement Purchase Direction is not available for entities and 401(k) plans, please download the paper version of this form. Once you have completed and signed Millennium Trust’s purchase direction form, gather any additional documentation and send to us for processing. Complete MTC's Private Placement Certification form and submit to MTC along with copies of the Offering Memorandum and Subscription Agreement for MTC's Pre-Custody Process. Note: Draft copies of offering memorandums will not be accepted. Complete IRA Adoption Agreement and Transfer or Rollover form. Include a copy of a recent statement from your current custodian or retirement plan. Submit to MTC for processing. Transfer: Custodian-to-custodian transfer can take 2-4 weeks. Rollover from a previous employer's plan can take 5-10 business days. Annual contribution may be made by personal check. Clearing time on checks is 5 business days from deposit. Investments requested during 7-day revocation period must have additional client approval. Review the Investment Documents, complete the Subscription Agreement and MTC's Private Placement Purchase Direction. Submit all documents to MTC for processing. Upon receipt of documents in good order and once funds are cleared and available, investment will be placed within 1 business day. In order for Millennium Trust to process a transaction for an account, specific documentation is required. Documents required for the private equity/debt assets vary by investment type. Download the Custody Checklists to view the list of required Millennium Trust forms and additional documents. You can save valuable time and resources by using the new online Private Placement (PP) Purchase Direction. This secure portal provides a centralized location for you to complete the form and upload the required documentation to process this investment. Complete a Millennium Adoption Agreement and Transfer or Rollover form. All new accounts must go through a 7-day revocation period before an investment can be made. If you have an existing account with Millennium Trust and you want to custody the asset in the same account, proceed to step 2. Note: For Real Estate rollovers-in-kind, list transfer/rollover pre-custody requirements. For deed registration, refer to our Real Estate Investment Direction. Prior to submitting an offer through our Pre-Custody Process, your Millennium Account must be open for at least 7 days. The offer must be made in the name of Millennium Trust Co., LLC Custodian FBO (name on the account) (account type). Millennium Trust will be the authorized signer for the contract. Personal funds cannot be used for the deposit or earnest money. All expenses related to the investment must come from your Millennium account. The real estate documents below can be emailed to RealEstateAdmin@mtrustcompany.com or faxed to 630-472-5969. This step will take up to 5 business days once paperwork is received in good order unless an Expedited Service fee is paid for 2-day processing. You will be notified once the pre-custody process has been completed. If the investment is accepted for custody, earnest funds will be released from your Millennium account and the contract will be signed. Once all documents are submitted and found to be acceptable, Millennium will notify you so that you may schedule the closing. When scheduled, notify Millennium of the date. You may then proceed with the steps required for closing. * Copies of these documents must be signed by the account holder as “Read & Agreed” on the last page and initialed on all other pages. Note: Millennium does not custody real estate located outside of the United States (U.S. territories are acceptable). Once all documents are submitted and found to be acceptable, Millennium will execute the closing documents and submit the final closing costs by the day of the closing. * Copies of all documents must be signed by the account holder as "Read & Agreed" on the last page and initialed on all other pages. Calculate total cost of ownership. Include property price, taxes, closing costs and ongoing expenses related to the real estate investment. Note: All expenses must be paid from the Millennium account. Execute a Millennium Adoption Agreement to open an account. Complete appropriate Transfer or Rollover form to fund the account. Submit to Millennium for processing. Annual contribution made by personal check or wire require a Deposit Form. Our Pre-Custody Process must be performed by Millennium to determine that the investment is administratively feasible. Process takes 2-5 business days. Millennium, as Custodian, will executed the contract on behalf of account and submit funds to escrow agent. Note: Foreign Real Estate is not allowed. Consider the non-recourse lender's requirements and timeline. Review IRS 598, Unrelated Business Taxable Income (UBTI) relating to Unrelated Debt Financed Income (UDFI) with your tax professional. Release of funds will be submitted upon the account being funded, all forms/documents in good order & completion of Millennium's Pre-Custody Process. Recorded Deed is held in custody by Millennium. All ongoing expenses and rental income must flow through the Millennium account. Millennium as Custodian, will execute the contract on behalf of account and submit funds to escrow agent. Once you select your Futures Commission Merchant (FCM) and/or introducing brokerage firm, you must determine whether or not Millennium has an existing FCM Agreement with them. Click the link below to view a list of FCMs that we currently have agreements with or e-mail FCMSupport@mtrustcompany.com. If an FCM Agreement is not in place, the FCM you have selected will need to contact Millennium to process the request. Contact your introducing broker or FCM to obtain the documents required to open a new trading account. For transfers-in-kind you must submit an IRA-to-IRA Account Transfer Authorization or a Qualified Plan Direct Rollover Authorization form with a copy of your most recent statement from the current custodian reflecting the asset (it must be within the last three months). Supplies client with necessary MTC and FCM documents to open an account trading in futures or foreign currency. Client completes & submits documents to FCM. FCM or the broker forwards documents to MTC along with any other applicable documentation. MTC Futures Client Service executes as custodian, FCM account application and documentation, then forwards to FCM. FCM opens the trading account and faxes/e-mails confirmation to MTC Futures Client Service. Establishes the account and notifies the client via a welcome letter. Initiates contact with any previous custodian to transfer assets as applicable. Note: Investments requested during the seven (7) calendar day IRA revocation period must have additional client approval. Account Transfers and IRA Rollovers/Rollovers from Qualified Plans no less then five (5) business days after processing. Note: To expedite the transfer process, we encourage you to liquidate assets prior to submitting the Transfer Form or Qualified Plan Direct Rollover Authorization Form and check with your previous custodian to determine if a Medallion Signature Guarantee is required to transfer funds. Funds are received from the transferring custodian and posted to the MTC account. Funds received by wire are available for investment upon receipt. Funds received by check are available for investment five (5) business days from deposit. Funds received without identifying paperwork can cause delays. 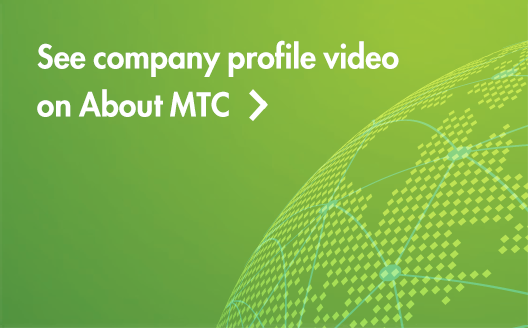 MTC transfers funds to the new trading account according to client's direction. FCM notifies the broker that funds are available for trading. Client completes submits documents to FCM. The FCM opens the trading account and faxes/e-mails confirmation to MTC Futures Client Service. Reviews MTC forms for completeness. Account Transfers and IRA Rollovers/ Rollovers from Qualified Plans no less than five (5) business days after processing. IRA & Futures/Forex Account Funding 1-2 Business Days Funds are received from the transferring custodian and posted to the MTC account. MTC transfers funds to the new trading account according to client’s direction. If there is a platform that you are interested in funding in that is not listed, please contact us. Complete MTC's Marketplace Lending Funding Direction. To trade online, you must have access to Millennium Trust Online and have requested trading access. If you do not currently have online or trading access and would like to add it, complete a web access request found in our Forms library. Millennium Trust offers two ways for account holders to trade Stocks, Mutual Funds, and Exchange Traded Funds (ETFs) – online and by phone. You can trade online during market hours: 8:30 a.m. – 3:00 p.m. CT, Monday through Friday except for stock market holidays. To place a trade via phone, please call 1.800.258.7878, option 7 during normal trading hours. Bonds and CDs can only be traded via phone. How do I ensure my asset can be custodied (Pre-Custody Process)? Documents required for alternative assets vary by investment type. Download the Custody Checklist to view the list of required Millennium Trust forms and additional documents. You can save valuable time and resources by using the new online Pre-Custody Process. This secure portal provides a centralized location for an investment sponsor, advisor or individual investor to work collaboratively in submitting the required documents. Begin the online Pre-Custody Process by submitting basic investment information. If you are an individual investor or advisor, there is an option to send the investment or fund sponsor instructions to complete the online Private Placement Certification (PPC) as part of the Pre-Custody Process. Once all the information has been completed and we have received all the necessary documentation, it will take up to 5 business days for us to determine whether Millennium is able to custody the asset. Documents required for the private equity/debt assets vary by investment type. Download the Custody Checklist to view the list of required Millennium Trust forms and additional documents. Begin the online Pre-Custody Process by submitting basic investment information. If you are an individual investor or advisor, there is an option to send the investment or fund sponsor instructions to complete the online Private Placement Certification (PPC) as part of the Pre-Custody Process. If you are investing in private debt with no investment sponsor, you can download the required documents below and upload your investment documents during your online submission. Download the Custody Checklist to view the list of required Millennium Trust forms and additional documents. The real estate documents below can be faxed to 630-472-5969 or emailed to RealEstateAdmin@mtrustcompany.com. This step will take up to 5 business days once paperwork is received in good order unless an Expedited Service fee is paid for 2-day processing.